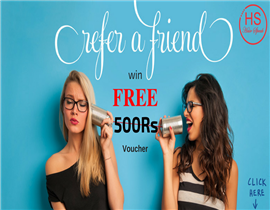 REFER A FRIEND & WIN A VOUCHER WORTH Rs. 500 FREE. Get 50% off on all diploma courses. 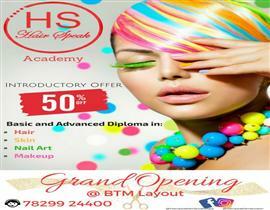 Hair speak academy in Bangalore.Introductory offer get flat 50% off on all diploma courses. 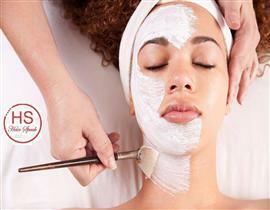 Every Thursday get 50% off on Facial .You can take appointment from our near by store.For free consultation call our expert. Book any bridal makeup and get one party make up free. 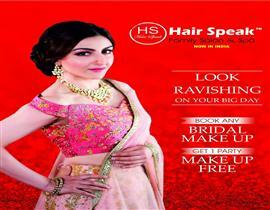 Book any bridal makeup and get one party make up free. Available in our all store.Limited offer please book your slot from our near by branch. Introductory offer pay for manicure and get pedicure Free!!! 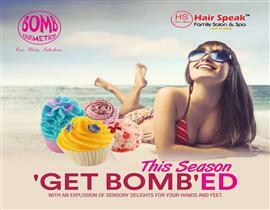 Are you looking for younger looking hands and feet, your wait ends At HAIR SPEAK. Give your hand and feet a silky, smooth, satin touch with our Bomb luxury mani-pedi range.This new year 2018 we are giving introductory offer pay for manicure and get pedicure Free!! !